India, the land of various Gods and Goddesses, is also known for various religious journeys. There are numerous shrines dotted throughout the country. In the North India region, there are numerous pilgrimage sites that are regarded of huge significance in religious like Hindu, Jain and Buddhist. Every pilgrimage center has a unique mythological story associated and religious significance. As the northern region of India is covered with snow, summer is the ideal time to visit these shrines. 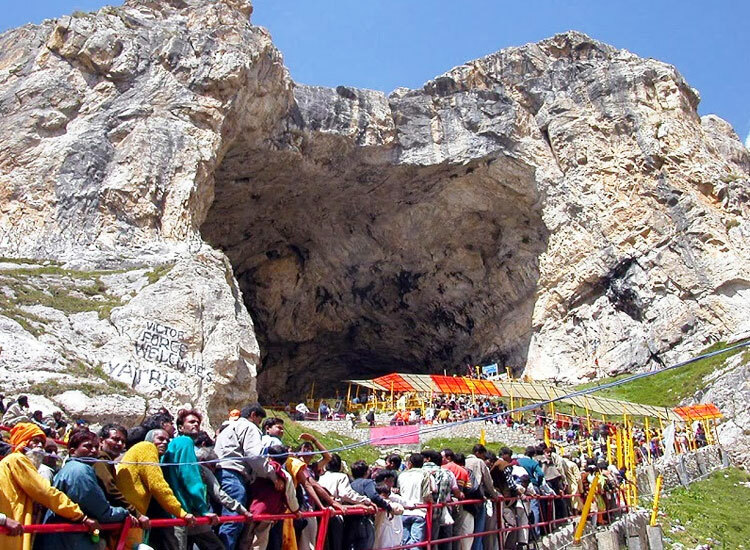 Amarnath Cave, devoted to Lord Shiva, is one of the significant Hindu religious sites located in Jammu & Kashmir. The Hindu shrine is located at an altitude of 12,756 ft above the sea level. For most part of the year, the religious shrine is covered under snow. Summer months are regarded as an ideal time of the year to visit the Amarnath Shrine. Devotees opt for Amarnath Yatra by helicopter to see the massive 40 m high Shiva Linga, which is formed by freezing of water drops falling from the ceiling of the cave. There are two routes, namely via Baltal and via Pahalgam, to reach the Amarnath Cave. 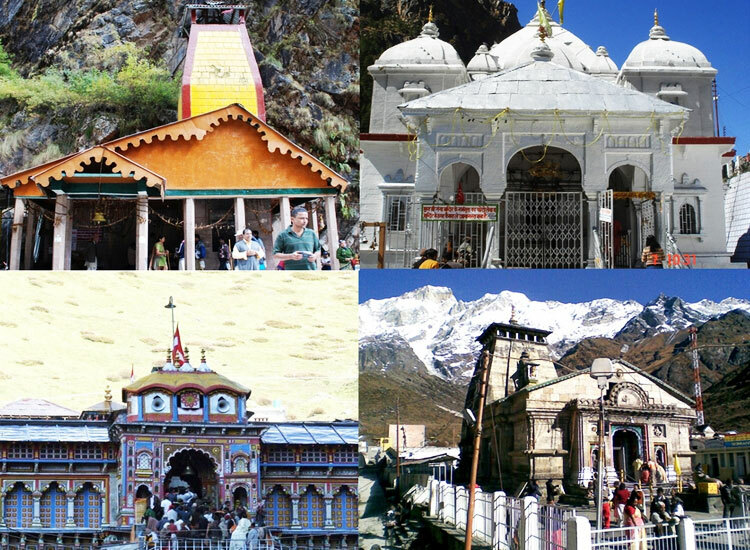 In Uttarakhand, Chardham Yatra is one of the pious journeys that attract devotees in great number, every year. The destinations included in this religious voyage are Yamunotri, Gangotri, Kedarnath and Badrinath. This Yatra is also popular as Chota Char Dham. Generally, devotees embark from Haridwar, known as the temple town of India. Alternatively, devotees also start the journey from Dehradun or Rishikesh. • Yamunotri : The origin of the River Ganga and abode of the Goddess Yamuna. • Gangotri : The origin of the River Ganga and abode of the Goddess Ganga. • Kedarnath : The Hindu God Shiva reverenced as one of the twelve Jyotirlingas in India. • Badrinath : The abode of Lord Vishnu. The deity manifests in the form of Badrinarayan. There also is Do Dham Yatra provision available for devotees. In this Yatra, pilgrims can select any two religious sites out of the four. Moreover, for pilgrims with time as the constraint or problem with altitude travel, there also is Chardham Helicopter Yatra available. Om Parvat, with an altitude of 6191 m, located in the Darchula District. The mountain peak is also popular as Adi Kailash, Baba Kailash, Chhota Kailash, and Jonglingkong. 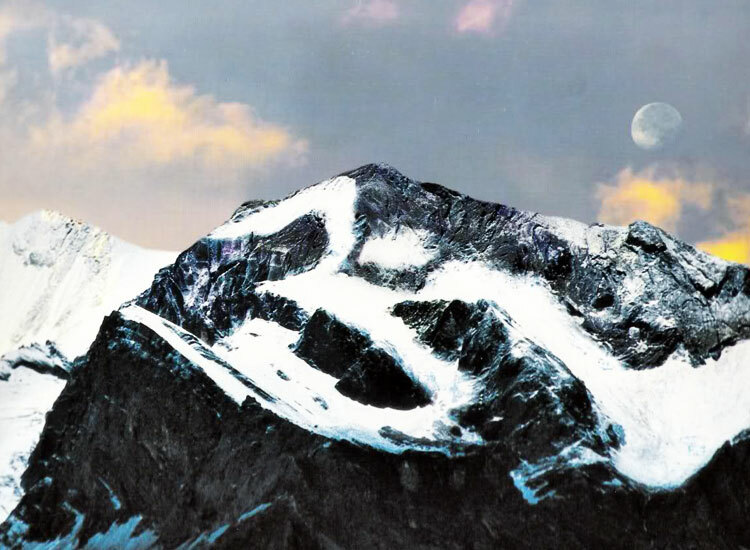 The main attraction that makes this mountain peak popular amidst pilgrims is the natural impression of OM, Hindu Mantra, formed with snow with the black background of the mountain. OM is regarded of huge significance in Hindu religion. The complete Mantra, with the dot (bindi) on the top of the semi-circle, is visible during the months between August and September. Kailash Mansarovar Yatra is regarded as very pious in the religion of Hindus, Buddhists and Jains. The main attractions are the Mount Kailash and the Lake Mansarovar. The Yatra is regarded of huge significance as the legends say the voyage helps in washing away the sins of last 100 years. There also are citations that say, it provides relief from the cycle of death and reach the abode of Lord Shiva. Kailash parikrama (circumambulation), bathing in Lake Mansarovar, inner kora and outer kora are a few things to do at Kailash. Pilgrims are also required to ensure proper preparation for Kailash Yatra. Right from health to clothing to the mode of Yatra is to be decided to ensure convenience to the devotees during the religious voyage. 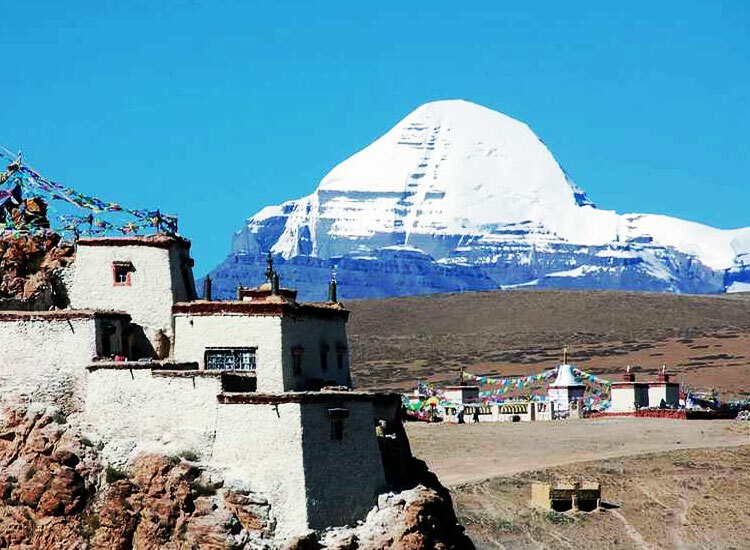 As the journey requires 15 to 15 days, there also is Kailash Mansarovar Helicopter Yatra available to facilitate yatris to get the best of the religious journey in just 10 -11 days. 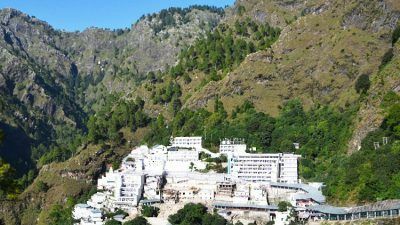 Vaishno Devi Shrine is one of the revered Hindu religious site after Tirupati Balaji. The shrine is situated in the Trikuta cavernous hill ranges of Jammu and Kashmir. The main temple is devoted to Goddess Vaishnavi. Tourists from all parts of the world flock in great numbers to visit the shrine. To cover the arduous journey of 14 km, a deep faith is required. The shrine is situated at a height of 5,200 ft. According to Hindu Mythology, it is said that Goddess Vaishnavi took refuge in this hill and meditated for 9 months. She took refuge here to escape from ‘Bhaironath’ Tantric. There are idols of three Hindu goddesses in the main temple. The ‘Pindies’ represent Goddesses Kali, Saraswati and Lakshmi. At Katra, pilgrims are required to take the Yatra slip as it is mandatory. The slip is important for yatris to cross the Banganga check post. 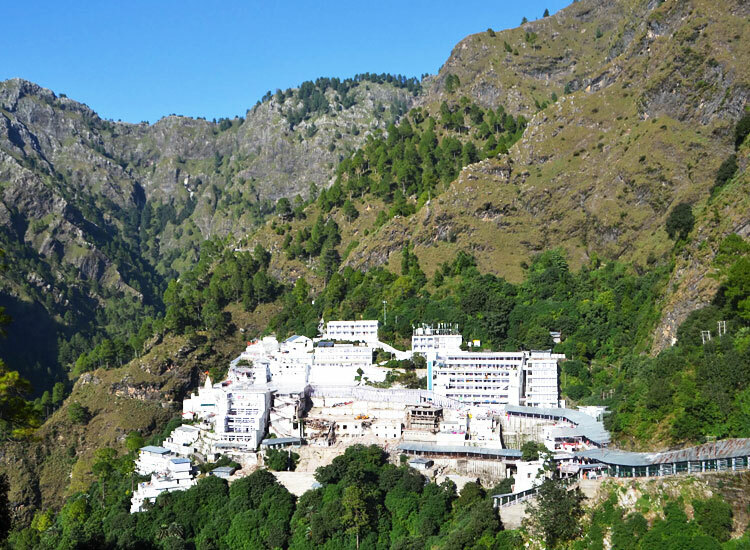 Vaishno Devi Yatra trek goes through Banganga, Ardh Kunwari, Main Bhawan and Bhaironath Temple. The voyage is considered complete only after visiting the Bhaironath Temple. There also is Vaishno Devi Yatra by helicopter available to facilitate pilgrims facing difficulty in high altitudes due to age or other factors.